Yoshida was swiftly rejected by his crush of 5 years. On his way home after drinking his sorrows away, he saw a high school girl sitting on the street. "I'll let you do it with me, so let me stay." "Don't even joke about something like that." And so, the story of living with the high school girl Sayu began. 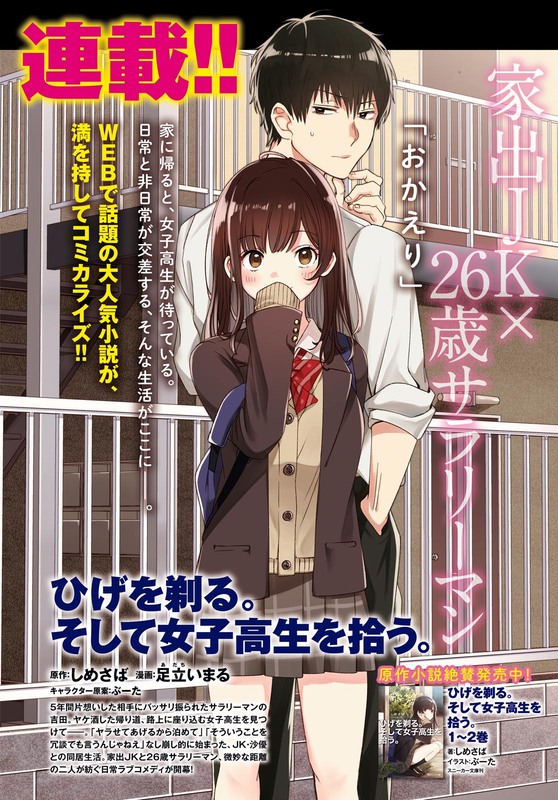 The slice-of-life romantic comedy between a runaway high school girl and a 26 year old salaryman ensues. Keep teasing us PLEASE !!! love this manga so much. Thank you ! No! Keep teasing us with that cuteness for at least 50 more chapters! ADD harem to the tags. Cuz we all know where this is going! Isekai Onsen ni Tensei shita O..